The holiday season is almost here and consumers are busy browsing websites and stores for the perfect gifts to give their friends, family, and colleagues. Regardless of your product, now is the time to take charge of your advertising efforts and put in place some infallible holiday marketing campaign strategies to increase your exposure and maximize profits. Forecasters expect ecommerce sales to hit $114 billion from this season’s online holiday sales, so it’s worth taking the time to hone your holiday season marketing ideas and earn yourself a slice of the revenue. Below you’ll find easy to implement Christmas marketing campaign tips and other holiday season ideas that will help you leverage all of the benefits this season can offer your brand. 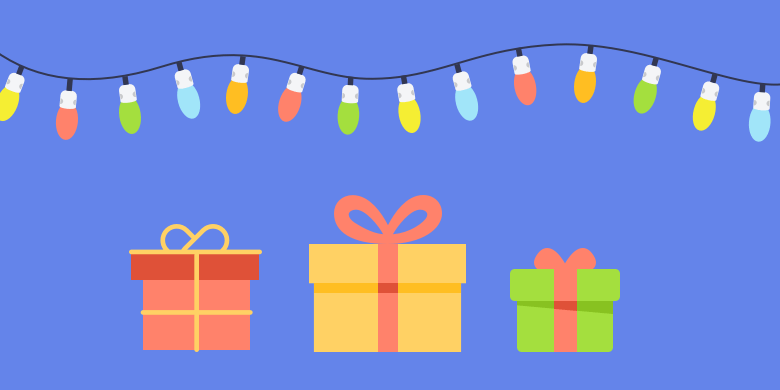 Social media is great, but email is undeniably effective, especially when it comes to holiday season campaigns, like Christmas content marketing. Despite the viral potential of social media, email still prevails as the best disruptive method for reaching and engaging customers. Time and time again, email marketing has been shown to be more effective for conversions than any other outreach, earning an average return of $44 for every $1 spent. If you already have a regular newsletter going out, you should promote and feature important on-sale products leading up to the season. If a newsletter isn’t already in place, you can begin one now to entice customers to take a look at your sales, events, or special holiday season marketing offers based on their purchasing and browsing history on your site. One way to leverage digital marketing before Christmas is a countdown featuring a promotion each day in the lead-up to Christmas Day. Whatever you decide for your holiday marketing campaign, just remember to keep it personal to increase your chances of a sale. Is your website up to the job? Along with the obvious needs of responsiveness, a seamless UI and UX, and beautiful images that come with great product information, you should be considering your returns policy during this time of year. It may seem counterintuitive – you’re aiming for sales with your holiday marketing campaigns, not returns. However, about 67% of online shoppers check return policies before purchasing. If it’s hard to find or not in place at all, you’re losing sales before consumers put anything in their baskets. Put your returns policy in the FAQs section of your site. Better yet, include a link to it in the footer along with the shipping and tracking details. As you aim to launch your best holiday campaigns, it may also be the appropriate time to review the policy and extend the acceptable time for returning items. As a result, a more lenient returns policy has been shown to strongly correlate to increased purchases. Abandoned shopping carts in your online store represent missed opportunities for holiday marketing campaigns. You managed to entice consumers to your site, and even to begin placing their order. Then, something went awry to stop them from completing the purchase. In this instance, time is of the essence. Reach these customers at the right time with the right message, and you may be able to lure them back and increase the original order value. There are multiple apps to help you prevent cart abandonment and build your best holiday campaigns, but incorporating these emails into your strategy is one of the most simple and effective methods. Using an email verifier tool ensures these abandoned cart emails reach the customer in time, landing right in their inbox, skipping the spam folder, and enticing them to complete their purchase. Clear communication between your departments can boost your holiday sales. Support teams talk to prospective customers each day and, when put in touch with the sales team, these prospects can be converted into purchasing customers. Leverage a great CRM like Salesforce for your Christmas and New Years marketing campaigns, and it can automate much of the process of transferring a contact from one team to another within the same company. Utilizing a software such as this also makes it quicker and easier to take internal notes and report on the exchange. Essentially, it gives sales staff the information necessary to follow the leads sent their way and convert them to sales. A great CRM should be utilized year round, but as the time for online holiday sales approaches, now is the time to implement one into your holiday marketing campaigns if you haven’t already. An additional benefit of clear and trackable communications is the ability to spot and reward your top performers for their hard work over the holiday season. A simple yet effective way of achieving even more sales with your holiday season marketing campaigns is to upload your customer data to a Facebook ad campaign. Simply combining tools like Zaps and Facebook’s Offline Conversions can help you target people who have engaged with your brand on an outlet besides social media, but have not yet purchased anything. These easy apps pull data from other sources, like email marketing software or purchase data from your ecommerce store, and shoot it back to your Facebook ad campaign. Doing so allows you to truly optimize your New Years and Christmas marketing campaigns and encourage warm leads to engage with your offers. A targeted Facebook ad not only extends the reach of your holiday marketing campaign, but also may be just the thing to get consumers to make a purchase.